Rotomoulding – Rolling towards its full potential? 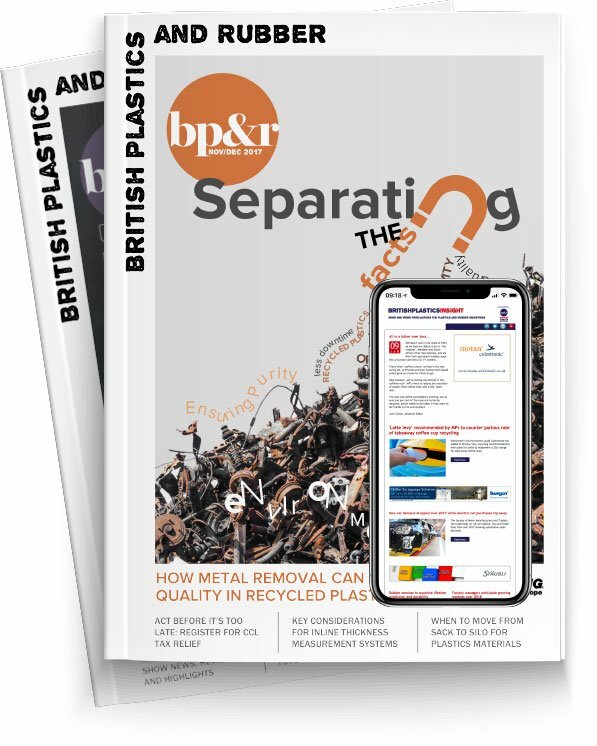 On the eighth anniversary of the creation of the Wittmann Battenfeld Group, Managing Director of the company’s UK subsidiary, Barry Hill, reflects on whether the partnership has been a success, as well as how the acquisition is affecting UK sales today. April 1 of this year saw us celebrate the eighth anniversary of The Wittmann Group’s acquisition of Battenfeld’s injection moulding business. As is well documented, Battenfeld - from being the doyen machine builder and process innovator of the 70s and 80s - had been tumbling through at least two decades of very tough times. The Wittmann Group sales trajectory and story was quite the opposite. The Vienna-based supplier, known for its ancillary equipment for plastics processing and family-based management, had yet to prove itself in terms of core injection moulding technology. The deal on April 1, 2008, therefore, saw the industry hoping for positive outcomes but holding its breath. Would the move be a perfect fit – could The Wittmann Group succeed where others had failed? Eight years on and I believe that we have our clear and definitive answer: Two months ago, for example, Dr Werner Wittmann was in Hong Kong inking a deal to supply more than 100 new Wittmann Battenfeld machines to Hayco Manufacturing. The equipment will be shipped to the Hayco’s new manufacturing plant currently being built in the Dominican Republic. A number of machines will also go into an expansion of Hayco’s three existing factories in China. Of course, such large, multi-machine deals do happen from time to time. However, the fact that Wittmann Battenfeld sold so many machines to a company with so many Chinese machine builders in its own back yard is testament to their performance, and not least the fact the Group,as Wittmann Battenfeld, can supply a complete ‘one-stop-shop’ for its moulding cells. From a marketing point of view, it seems clear that such a ‘one-stop-shop’ is desirable and necessary. It was clear from the start that a new and improved Battenfeld machine range would make a perfect match with Wittmann ancillary technology - and thus create a convenient purchasing platform for plastics processors worldwide. And this has come to pass since April 1, 2008, and continues to develop and grow. All around the world, our companies are now enabled to supply everything needed for an effective moulding cell; automation; granulation; conveying; materials handling; temperature control and so forth. So not only is this year’s 100 + machine order a great morale boost for Wittmann Battenfeld, it also sends a clear signal to the industry that the Battenfeld brand is now truly revived and thriving – under the Wittmann management. Wittmann Battenfeld UK (WIBA) had a record year overall last year and is set to at least equal that again this year; thanks partly to a continuing and strong performance in robotics and automation. Our automation growth seems slightly ahead of that in UK and Irish manufacturing generally and we estimate our market share for linear robots and automation at between 60 and 70 percent in the contract moulding sector. We also continue to land bulk orders from the trade. A leading small parts producer is now up to 31 Wittmann pick-and-place robots at its facility. We also expect an increase in IMM numbers for several reasons, including the launch of our pre-qualified medical injection moulding machines (IMM) and our growing penetration of that market both in the UK and also in Ireland, as well as the completion of the full line of our IMM machines - from five to 1600 tonnes (with further sizes expected at K 2016). In addition, aside of course from the availability of the full suite of ancillary equipment aforementioned, the growing popularity of our mid-sized to large machine(s) and the continuing strength of the successful UK SME trade moulding and automotive sectors are also working in our favour. In conclusion, Wittmann Battenfeld is now a leading and global force in injection moulding. The Wittmann Group has revived it and modeled it in its own image as a family-style business with roots, values and strengths to match. WIBA UK feels very fortunate in facing the future with such quality resources at our disposal. Circular Economy: Are there quick wins for plastic processors?